David Grinspoon is an adjunct professor of Astrophysical and Planetary Science at the University of Colorado. He is also the curator of Astrobiology at the Denver Museum of Nature and Science and has held several positions with NASA. 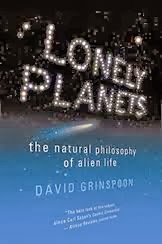 In Lonely Planets: The Natural Philosophy of Alien Life the astrobiologist takes on the question of whether there is life, and ultimately the related question, is there intelligent life to be found in places other then Earth. Grinspoon covers a lot of territory here. This book contains a lot of hard science, but, as the author himself asserts, it is not a pure science book. Instead, it is a work of speculation, opinions, philosophy and general musings concerning the “Big Picture” as it relates to humankind, possible alien civilizations and the universe. Grinspoon does treat the reader to fascinating explanations covering the history of the Cosmos, from the Big Bang on through the formation of the galaxies, stars, planets, etc. He further delves into the history of life on Earth and the rise of human civilization. Scientific discoveries relating to the subject are explained and analyzed. What we know about the solar system’s planets and major moons as well as the exoplanets are explained and analyzed. Included is a look at the history of human speculation concerning extraterrestrial life from the time of the ancients through today. Grinspoon explores both philosophic as well as scientific based speculations concerning alien intelligence. Though the author disagrees with them, modern UFO, paranormal and New Age driven belief systems are also explored with a surprising amount of seriousness and respect. A lot of educated speculation is devoted to the likelihood of alien life and alien intelligent life, the nature of such life, what alien civilizations might be doing out there, as well as how we might discover its existence. There are positively fascinating ruminations on speculative and far out subjects, such as machine-based intelligence, giant alien engineering projects involving the movement and creation of stars, alien messages contained in DNA and all sorts of other good stuff. This is a very personal book. The author infuses the narrative with personal recollections, stories and feelings, as well as numerous references to what I would consider the more interesting aspects of popular culture. There are allusions to television shows like Star Trek and the X-Files, science fiction literature, jazz and rock music, etc. Humor and jokes are also sprinkled throughout the narrative. Sometimes Grinspoon’s comedy falls short and slips into the silly, diminishing this otherwise extraordinary work. In pondering this book, it is inevitable that I mention two other scientist-thinkers whose shadows loom large in context to what I will label as modern science-related philosophy. The first is Richard Dawkins, who also writes this sort of non-fiction as he attempts to put it all together while ruminating about life, the universe and everything else. Fortunately, Grinspoon avoids the outright nastiness and disrespect for the ideas of others that have characterized Dawkins’s recent writings. At one point in this book, Grinspoon even takes Dawkins’s to task for his hostile nature. Grinspoon outlook and attitude are extremely tolerant; in fact, his outlook is highly reminiscent of the views purported by late Carl Sagan. Sagan was a friend of Grinspoon’s parents and, later, of Grinspoon himself. Like Sagan, Grinspoon clearly believes in a rationalistic universe and in where empirical truths can best be discovered through scientific methods. Where Sagan and Grinspoon differ from Dawkins is that they not only respect others and the ideas of others, but they go out of their way to calmly examine ideas that they disagree with, without attempting to belittle them. Grinspoon actually goes further, he often explores how viewpoints contradictory to his, relating to science, religion, etc. might be correct and points out how and why he could be mistaken! He also turns a critical eye upon theories as well as belief systems that he himself agrees with. It is certainly not immediately obvious that the beauty and complexity of life on Earth all came about through billions of years of random variation and selection. Our prescientific forebears can be forgiven for their intuitive inference that such a wonderful design requires a superhuman designer. Science has given us reason to doubt this need, but science has also revealed the design to be far more intricate, complex, and finely tuned than anyone imagined hundreds of years ago. Modern thinkers, too, are reasonable to doubt that natural selection could come up with all this. If you have never, ever, doubted it, then you’ve never really thought about it, only accepted the ideology and authority of your teachers. Grinspoon lays out his personal philosophy here. He connects the possible existence of alien intelligence to the basic meaning of human existence. Grinspoon views this entire process that has occurred over billions of years as a process of “Cosmic Evolution”. The history of the universe from the Big Bang on to the modern technological civilizations, both ours and potential alien, is viewed by the author with a sense of awe and meaning. The author sees humankind’s best outcome in a combination of advanced technology and what he labels a new spiritualism; a kind of combination of universal compassion and love for others mixed with a deep understanding of the universe that embraces of our place in Cosmic Evolution. Our place in this process involves the universe becoming intelligent through humanity. All of this, according to the author, should lead to the global intelligence that is capable of avoiding an environmental cataclysm and other existentialist threats to humanity. I am grossly oversimplifying the author’s beliefs. Grinspoon spends many pages developing these ideas. He also connects his worldview to other natural philosophers of the past, such as Konstantin Tsiolkovsky, Iosif Shklovskii and, of course, Carl Sagan. In regards to traditional and non-traditional religion, Grinspoon explains that he is not a believer in the actual nuts and bolts contentions of these systems. However, while occasionally critical, he is more often complimentary about various religious views and incorporates many ideas espoused by religion into his views. This incredibly open-minded thinker even delves into the possibility that he could be wrong and how it could possibly turn out that certain religious beliefs, as well as beliefs in UFOs, certain paranormal activity, etc. could be correct. Science may be a candle in the dark but it is also a lit fuse, and our future depends on an ability to grasp a truth that comes from somewhere beyond science: that if we don’t do a much better job of loving one another here on this Earth, then we are going to miss the galactic party. The “candle in the dark” is clearly referring to Carl Sagan’s The Demon-Haunted World: Science as a Candle in the Dark, which extolled the enlightening aspects of science. I find that connecting this imagery to the imagery of a lit fuse is so very clever and poetic. Humanity will join the “galactic party” if and when we contact alien civilizations. We don’t know the odds, but this is the game we’re in. The problem of survival is not fundamentally technological. It is spiritual and moral. It is evolutionary. Technical solutions may provide temporary Band-Aids, but they do not save us from our nature. If we want to be one of the survivors, we must create a global society where curiosity is tightly bonded to compassion, and where (this is hardest to picture) not a lot of people want to do violence to others. Grinspoon’s reference to the survivors is that some presupposed alien civilizations inevitably destroy themselves while others inevitably survive. One may think that this mix of science, history, philosophy and personal observations would be unwieldy. However, Grinspoon melds it into a seamless whole. Readers of this blog will know that I love reading about the ideas espoused by others that are contrary to my own beliefs. Though, of course, there are areas where I disagree with this author, Grinspoon’s worldview and attitude is, as was Sagan’s, more in line with my own then most. Add that to the fact that Grinspoon is so refreshingly tolerant towards diverging belief systems. All of this adds up to a highly recommended book. My conclusion is that Grinspoon is a very important thinker and a worthy intellectual heir to Carl Sagan. I have also read Venus Revealed by Grinspoon. This is a fantastic encapsulation of what we know about the planet Venus. It is a pure science book, however Grinspoon also opens it up to many big scientific ideas. Grinspoon’s fun and informative website is here. Charles Dickens exhibits a strange mix of naiveté and cynicism when displaying his worldview through his fiction. This is very true in regards to Bleak House. Many of his characters are portrayed as being filled with virtue and innocence. These personas are often so inundated with righteousness that they can only be described as one-dimensional. There is, however, another aspect to Dickens’ worldview. In addition to the outright villains, there are the imposters. These people, and sometimes institutions, masquerade as the innocent and the good. When he portrays these aspects of reality, the great author is deliciously and bitingly sardonic. Take Harold Skimpole, a friend of the novel’s protagonist, Esther Summerson. When we are introduced to Skimpole, he is seemingly charming in his innocence. He constantly and with cheerful stubbornness refuses to take stands or declare his belief in anything substantial. Always jovial, happy and in a frivolous mood, he is continually incurring expenses that he cannot pay for. He unconcernedly relies on the goodwill of others to make good on his debts. Again and again, in what are often hilarious passages, he runs up liabilities that he has no intention to pay, eludes angry creditors or charms well-meaning benefactors into satisfying his obligations. He incessantly prattles on about how childlike and innocent he is as the explanation for his irresponsibility. However, as the narrative progresses, we see that there is a very dark side to all of this. Skimpole is seen neglecting his family, laughingly justifies all sorts of behavior that causes harm to others, is a terrible influence on impressionable young people and eventually betrays others for money without the slightest twinge of conscience. “'Is there such a thing as principle, Mr. Harold Skimpole?'" Again and again, Dickens sarcastically and humorously indicts Skimpole, and people like him, with such biting irony. The result is often tragic. We soon see, however, that Mrs. Jellyby’s neglect of her husband and children is pathological and dangerous. To be sure, Dickens illustrates a world that is full of good. Multiple characters, such as Esther, her guardian John Jarndyce, her close friend Ada and others are mostly decent and moral. Interestingly, these principled characters do not constantly about their own merits, as the hypocrites do. Dickens’ ironic wit can be found all over Bleak House. Nowhere is it as effective, however, as when he aims his sights on hypocrisy. I think that this is one element that makes the famous author such a brilliant artist. Derision, when aimed at the contemptible, can also be so very insightful as well as entertaining and fun. 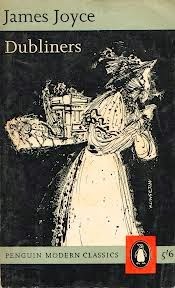 Sometimes, I think that readers often see Dickens in a kind of innocent light, as he often portrays good and evil in a straightforward and clear way. Such an assessment misses this mocking and sarcastic tendency that is present throughout this work. 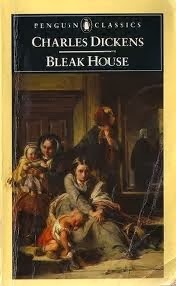 My general commentary on Bleak House is here. When Lucy from Therapy Through Tolstoy suggested that I write a guest post for her site I was honored. Coming up with a topic for my entry proved relatively simple. I suggested to Lucy that she choose a book for me to read and write about. Lucy gave me a few choices, and we settled on Dubliners, James Joyce’s famous collection of short stories. As Bibliotherapy and self - improvement through reading is a key theme of Lucy’s blog, I decided to focus upon that topic in a loose way. Those interested in my thoughts can head over the post at Lucy's site to check out my commentary. While over there, those unfamiliar with her site will likely find great benefit and enjoyment if they choose read further. Lucy’s blog is literate, insightful, sensitive, and takes a view of literature and reading that is refreshingly different. Thank you Lucy for allowing me to visit! 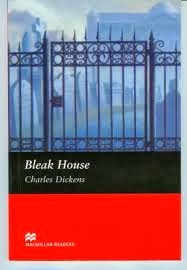 Bleak House is a significant and enjoyable book that, in many ways, is the quintessence of what a Charles Dickens novel is all about. This is the story of Esther Summerson, a young girl who is apparently orphaned. Esther is initially raised by an emotionally abusive aunt. Later, the benevolent John Jarndyce takes her in. Esther establishes close bonds with Jarndyce’s younger cousins, Ada Clare and Richard Carstone. She also encounters a host of additional characters and becomes enmeshed in their worlds. As the narrative progresses, it becomes apparent that Esther’s mother is still alive. She is the aristocratic, haughty, guilt ridden and depressed Lady Dedlock. This complex character steals the show, as the secrets of her mysterious past and her inner demons occupy much of the narrative. As Lady Dedlock’s early life begins to catch up with her, she becomes the victim of the prying and malicious lawyer, Mr. Tulkinghorn. Numerous additional developments ensue, including Esther’s permanent scaring as a result of smallpox. One of the most important plot threads is the unending saga of the legal case Jarndyce verses Jarndyce. The case, which at its root is the disposition of a large inheritance, is intricately complex, has dragged on for decades and has played a part in the ruination of lives. One of the basic themes of the book is the pernicious nature of the English court system. There is a lot more plot here. Multiple parallel and interrelated stories, themes and legions of characters abound. Like the aforementioned case, this book is too extensive and complex to summarize or analyze its themes in a single blog post. Suffice to say, it is in many ways typical Dickens. Such is a Dickens novel that characters are colorful and larger than life. Some are paragons of virtue, while others are insidious villains. A few inhabit complex and intriguing gray areas, particularly Lady Dedlock. The novel is also full of fascinating descriptions of London and its surrounding environs. Settings range from fabulous halls of the rich and aristocratic to the darkest corners of the vilest slums. The book also brims over with emotion. At times, it is genuinely affecting, and at other moments, it is almost laughably too sentimental. All of the above can be applied to Dickens elsewhere, but at least when it comes to the limited number of Dickens novels that I have read (A Tale of Two Cities, Hard Times, Great Expectations, Our Mutual Friend), it all comes together better here. The characters, both those who are simplistic and those who are more complex, seem to be better drawn out. The plot is well constructed and stays engaging over hundreds and hundreds of pages. Dickens’ wonderful prose as he describes nature’s interplay with humanity, when he takes a sarcastic and comical view of human folly and when he extolls the virtues of noble souls is at a high point here. Ultimately, this is a great novel. If one is inclined to like Dickens, it is a must read. I will be posting one or more additional entries focused upon some points of the book that I find particularly interesting. 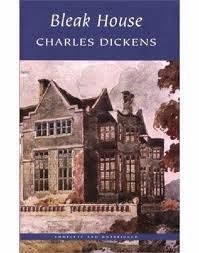 This novel truly encapsulates both what is great about Dickens as well as his flaws. If one is prepared and desirous to step into the intertwined, fanciful, philosophical and complex world that Dickens weaves, this is a great place to begin or continue the journey. Esther is an interesting character indeed. She puts the welfare of others first, and endures hardship for the benefit of those around her. The point of view of the novel alternates between the first person narratives of Esther herself and the perspectives of a cynical but compassionate third person voice. When describing herself she is constantly and persistently putting herself down. She questions whether she deserves the love of others. As a result, she harps upon the fact that her purpose in life is to make others happy. These are just a few examples. I think that Esther’s self-deprecation can be attributed to her upbringing, in which her aunt constantly diminished her worth. However, there may be something else going on here. When speaking in her own inner voice, Esther is a bit too focused on how selfless she is. There is so much insistent modesty that one gets the impression that Esther does not really believe it all. This gives her a hint of inner self-righteousness, perhaps self-deception, that she never shows to the world. Without a doubt, Esther is an extremely virtuous and selfless person. In no way is Dickens portraying her as spiteful or pernicious. However, if I am correct, she is just exhibiting a little imperfection, perhaps human weakness, in her thoughts. I have read no criticism or analyses of Esther’s character thus far (This was true when I wrote this). I may be mistaken about my impressions. It may be that I am seeing complexity that is not really there. Either way, Esther is a marvelous character. Since I wrote the above I have read some criticism and commentary on this work. It seems that there are many interpenetrations upon Esther’s character. I am taking a stab at my own take on one aspect of her persona here. I ask my readers to indulge me and look upon the above as an impression; perhaps something of an educated guess, at what Dickens was trying to get at.